Luxury motor yacht Clarity (ex Pauly D) is a 26,52m (87’) Palmer Johnson motor yacht based in Ft. Lauderdale, FL and available for charter in the Bahamas. 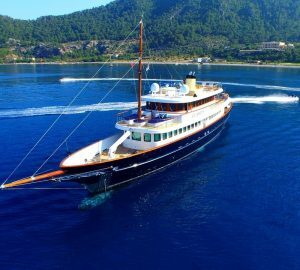 She is a superb Palmer Johnson charter yacht, which accommodates up to 8 guests, and at 87ft she is actually bigger and offers more features than her length alone would convey. 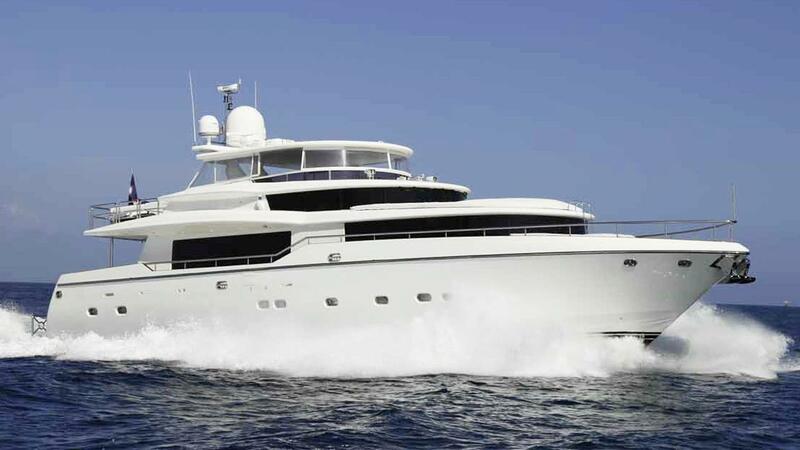 Motor yacht Clarity (ex Pauly D) boasts a very generous 24 foot beam which means that not only is she a large yacht for her length, has extra spacious interior large living areas while still providing the easy of walk around side decks. 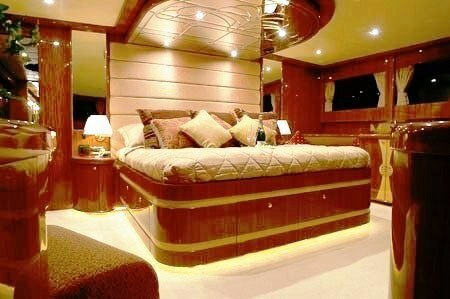 Her owner’s master stateroom can only be described as ‘palatial’ and it takes up the whole forward section of the motor yacht’s main deck. 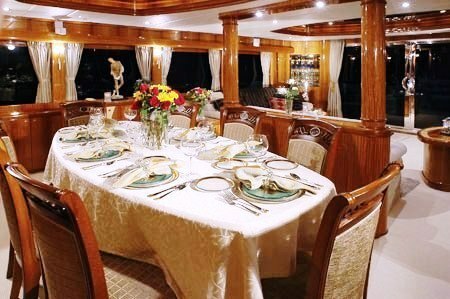 Not only is the master large but because its features well designed windows and it is positioned up ‘on deck’ the room provides fantastic panoramic sea vistas. Also, the master offers a 52 inch plasma TV screen for superior indoors evening entertainment. Motor yacht Clarity offers a really nice top fly-bridge, which has partial hard top shading, plenty of comfortable seating, a full wet bar, a Spa Pool as well as exterior music and service. The yacht has a very complete selection of fun water toys and there is easy access to them with her an ample swimming platform at the yacht’s transom. 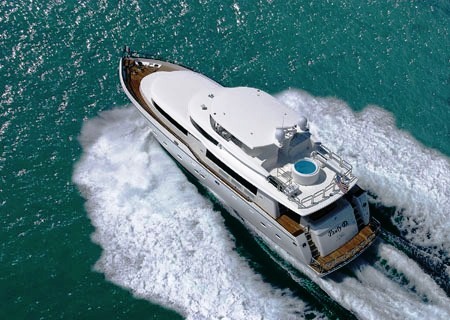 M/Y Clarity is perfectly suited to luxurious yacht charters in Florida and the Bahamas and she is very well crewed by a young and professional and happy team. 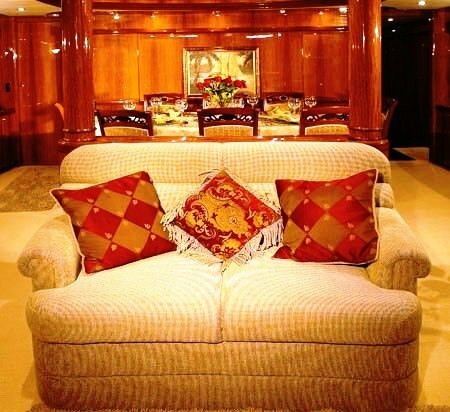 Palmer Johnson motor yacht Clarity received a refit in 2010 where she received all new soft goods in the interior and exterior, including all fabrics, carpets and linens. 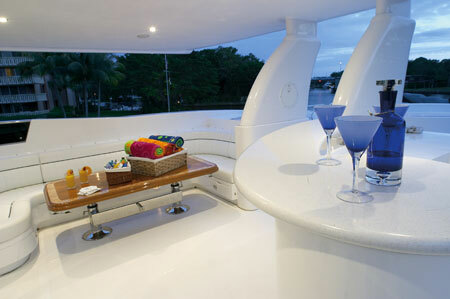 The yacht also received all new and updated entertainment systems, and toys. 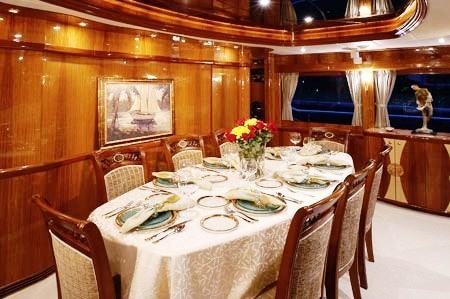 Charter yacht Clarity provides spacious and comfortable accommodation for up to eight yacht charter guests in 4 double cabins with the following layout: Her owner’s master bedroom is forward, full beam, comes complete with a king sized bed, and is positioned on-deck for increase view and light. 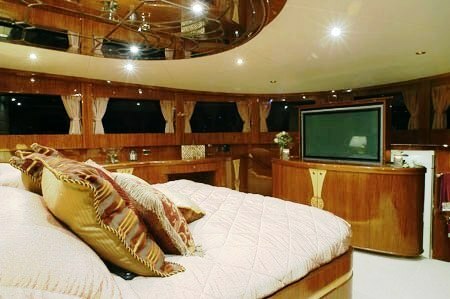 The master also boasts a ‘pop up’ Plasma TV screen, electric window curtains, and a modern ensuite bathroom. The master bathroom is positioned further forward of the cabin and features an atrium his & hers vanities, and a cedar lined closet. 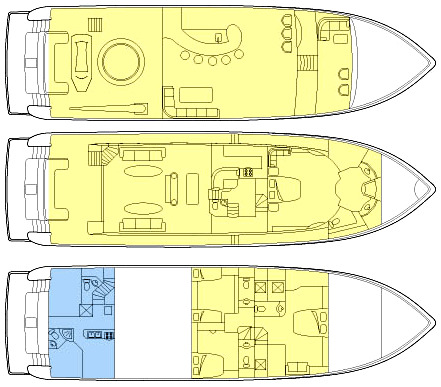 M/Y Clarity’s three further staterooms are situated on the lower deck and to mid-ships. The guest cabins provide a king sized bed, a full bed and two twin beds respectively and they all have Satellite TV& DVD & CD music, an intercom telephones and individual climate control. 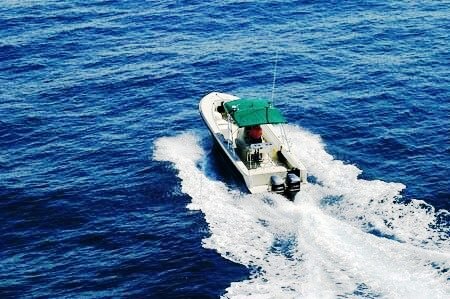 Yacht Clarity’ yacht charter amenities and extras include the following: A 15' Tender, Snorkelling gear Light fishing gear, Tubes, wake board, water skis. The fly bridge features a hard top with eisen glass for shade and wind protection if needed. There is a large seating area with a dining table and chairs. The sit down bar is fully equipped. There is a large Spa Pool and BBQ Grill. The aft deck can be accessed by stairs at the stern of the fly bridge. Motor yacht Clarity features a teak walk around deck and this makes the aft deck a comfortable lounging area complete with tables for dining and stairs that lead to the swim platform. Direct TV in each stateroom, High Definition TV's in each stateroom, salon, and aft deck. Her communications include Sat Com and cellular, Wi fi booster when in range.